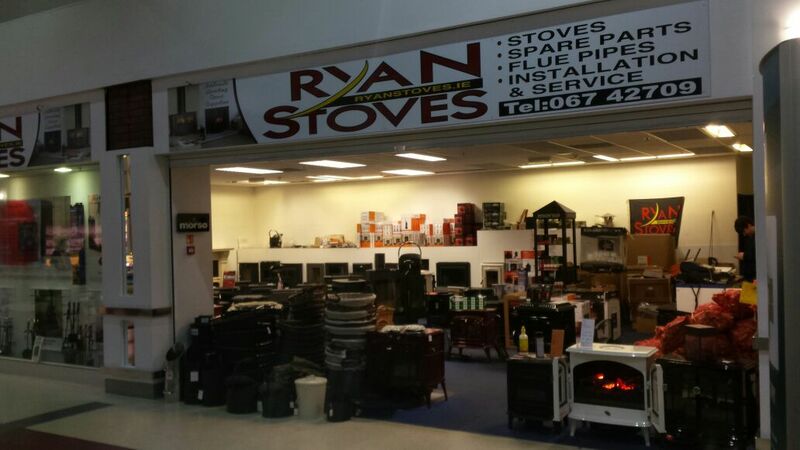 Ryan Stoves Ltd., have been involved in the stove and heating business for the last two decades, we carry a large range of stoves at our warehouse, we try and put an emphasis on top quality stoves like the Morsø Brand. We pride ourselves on our after-sales service and also provide an expert installation service. We offer a friendly and efficient service to all our customers. Our showroom is located on the N7 from Limerick to Nenagh just past Birdhill right beside the Yellow Bridge Bar. Full selection and supply and fitting of solid fuel stoves. Free onsite check and quotations….Warranty on all stoves fitted. Our Limerick shop is conveniently located in the Parkway Shopping Centre with more than 500 free parking spaces. Open 6 days a week from 10 am to 5.30pm. A great selection of Morsø stoves always on display along with most of the popular spare parts from stock. Friendly expert advice always on hand.